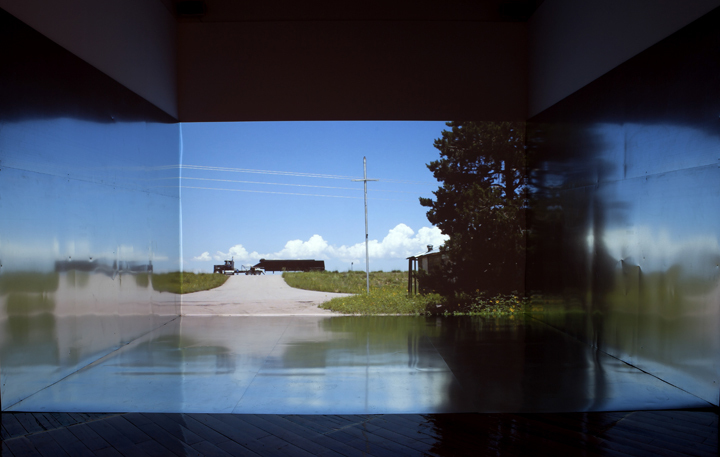 Pairing video of the now ghost town Dearfield, Colorado, first hand archival accounts of drought across the prairies and VLF recordings of sferics, dearfield, colorado is projected within a room covered in aluminum. 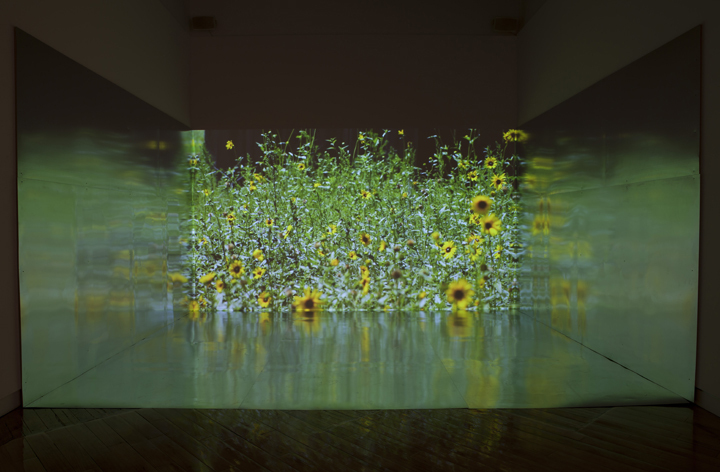 As the video imagery reflects in the floor and walls of the gallery space, text within the projection recalls the metallic skies and electrified air often described during dust storms of the prairies. 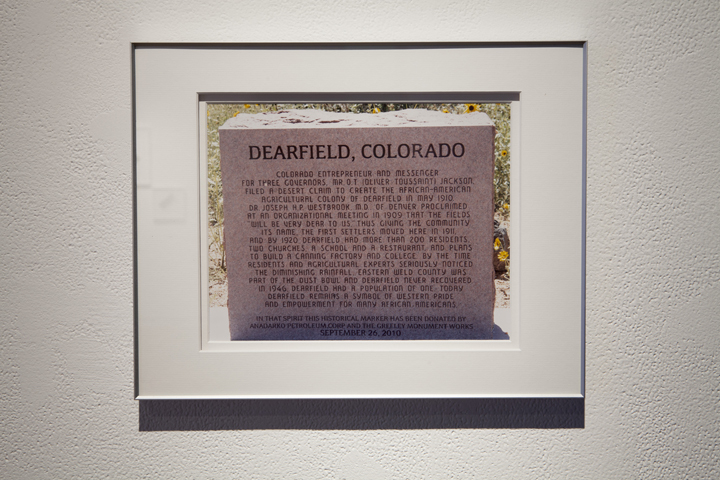 Dearfield, Colorado was an early African-American settlement in Weld County founded by O.T. Jackson on May 5, 1910. 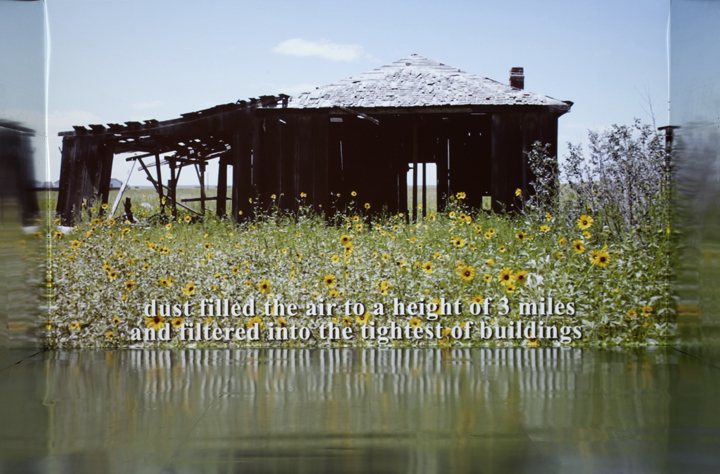 With 700 individuals living in the town at its height in 1921, Dearfield ultimately succumbed to the effects of drought during the Great Depression. By 1940 it was reduced to a population of 12. Sferics (radio atmospheric signals) are broadband electromagnetic impulses resulting from a lightning strike or strikes. 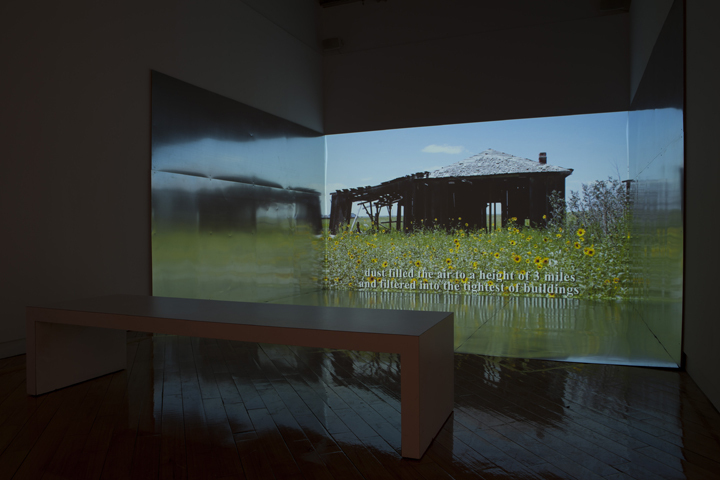 NOW Magazine Toronto Nature’s fury: What Was Will Be probes communities’ experience of natural disasters review of the dearfield, colorado exhibition at Gallery 44 By Fran Schechter. 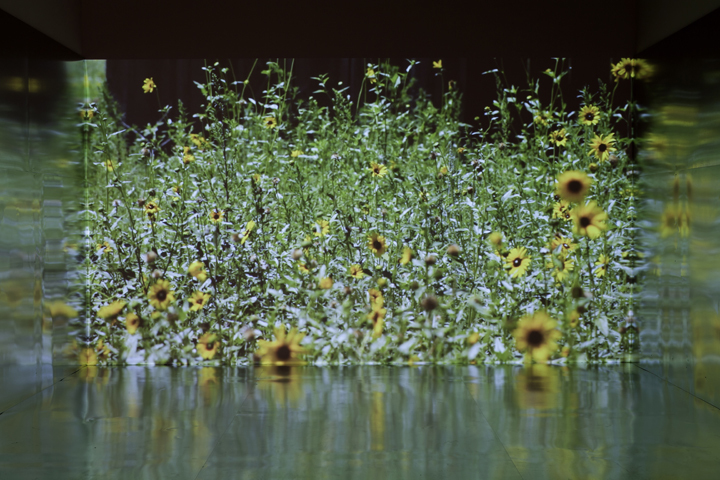 Nature’s fury: What Was Will Be probes communities’ experience of natural disasters – A review of dearfield, colorado's exhibition at Gallery 44 in Toronto – NOW Magazine, by Fran Schechter. Archival research done at: The Archives at the University of Colorado at Boulder Libraries (Boulder, CO); The Archives & Special Collections of the University of Nebraska–Lincoln Libraries (Lincoln, NE); The Library / Archives of the Nebraska State Historical Society (Lincoln, NE); The Saskatchewan Archives (Regina & Saskatoon, SK); The University of Saskatchewan Archives (Saskatoon, SK); The City of Regina Archives (Regina, SK); the Alberta Provincial Archives (Edmonton, AB); the City of Edmonton Archives (Edmonton, AB); The Blair-Caldwell African-American Research Library of the Denver Public Library (Denver, Colorado); The Hazel E. Johnson Research Center at the Greeley History Museum (Greeley, Colorado).